1. Heat oil in a karahi on medium flame . Mihidanas need to be deep fried . In the mean time , start making the sugar syrup with the ingredients mentioned . The sugar syrup must me medium thick . It must not be thin . It must be like that , when you touch the syrup with finger , your finger sticks. But don’t make it too thick that it crystallizes . 2. Make batter with the ingredients mentioned for batter . Don’t add extra 1 or 2 tbl spoon of water unless needed . The batter should be medium thick . It must not be thin or else you won’t have the perfect shape . And if you make it too thick , it won’t pour into the oil through the strainer or spoon . It should be just like the cake batter . 4. Fry the mihidaanas or small bundis until little crispy . Not too much , but yet crispy . remove them from the oil with another spoon . When all the batter is exhausted , all the mihidaanas are fried , take little amount from it to crush into powder . Not too much a little amount . But yet , it is optional .Put the remaining mihidaanas in the hot sugar syrup until they get soft . Remember the syrup should be boiling hot . when you put the boondis , the stove must be turned off , but after adding the boondi turn on the stove and cook the boondis at very low flame for at least 5/6 minutes until the boondis absorbed almost all the syrup and turned very soft . 5. Now while they are hot transfer half of them into the food processor and blend . Just because your sugar syrup is thick, they won’t be blended easily so add little hot , boiling water to blend well . Don’t put too much at a time . Just enough that is needed . If you mistakenly add too much water or it gets too thin , then add the remaining mihidanas with it and blend . that will balance the consistency . Now transfer it to a bowl . Mix with the crushed boondis/ mihidaanas . You may add little maowa too . 1. The consistency of batter is very important . If it is too thin , that when you put them on the spoon or strainer and it starts falling off , you will never get the perfect round shape . Or if it is too thick that no matter how hard you press the batter with the spoon or hand , it does not fall easily through the spoon or strainer , you won’t get the perfect shape too . It should be medium thick . But not thin at all . 2. Always place the strainer or the spoon as near to the oil as possible for the perfect shape . 4. Try to clean the spoon after every batch. That would help smooth flowing. Boil 4 cups of milk and when it comes to the boiling point , turn off the stove and add 2 tbl spoon of lemon juice . When the Water separates drain the chaana on a cheese cloth , wash with cold water . Squezze well , so that no water should be there . Your chaana is ready. 1. Take chaana,sugar, ghee and cardamom powder in a bowl . Knead well until smooth . Remember , try to squeeze all the water from chaana before you make this sweet. 2. Now turn on the heat of your stove on low flame . Put the chaana on a pan and cook on a low flame just that long needed to evaporate the water or moist from the chaana ( as sugar gives moisture to the chaana) . Don’t cook on high flame or for too long , then it will get hard and not giving justice to the name kachagolla . For dry mawa , mix ghee with powder milk in a proportion so that it has breadcrumb like texture. Strain with a strainer . Yur dry mawa is ready !!!!! What an exotic sweet Kheer-kadam , otherwise known as Raskadam, is enclosing another one!!!!!! It’s a kind of sweet , where a sweet is covered by a layer , turning it completely into a new kind!!!!! When I cut the sweet , my 7 year old daughter was so amazed !!!! She was like , her mom surely be a great magician !!!! She kept asking me ” How did you put another sweet into this sweet ball?? ?” I pretty much saw myself, the little Khadiza, in her innocent query!!!! I used to wonder too , every time I had those cute, “full of surprise” delights !!!!!! The making process of Kheer-kadam is pretty simple . Usually Roshgolla is used to be covered by the outer layer . But being a bit adventurous , used laalmohon/ gulabjamun . 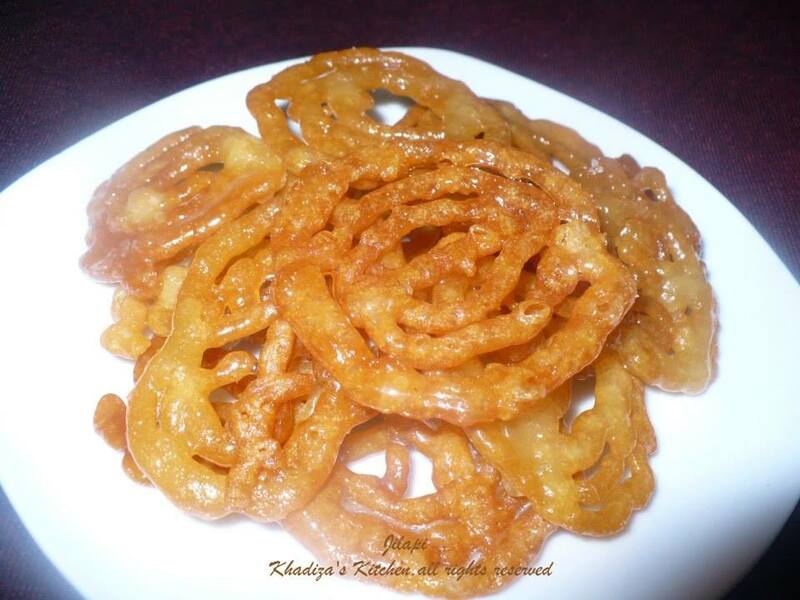 Moreover the outer layer is often prepared by the khoya or mawa . I made khoya with instant full cream milk powder. Now Let’s move on to make those pretty Kheer-kadams. 2. Mix all the ingredients for the outer layer in a bowl . Mix well , so that no lump is there . Now Heat a pan and put the mixture into the pan . Stir continuously until forms a dough . Transfer it to a plate and let it cool . I often do it in microwave too . But you have to be careful , so that it must not get burnt. 3. Now when it cools down , put it in the fridge too for 5/ 10 minutes . It will help to shape properly . 4. Take out the gulabjamuns and khoya from the refrigerator . Now cover the gulabjamuns with the khoya . 5. Dust the balls with powdered khoya . For powdered khoya , mix milk powder and ghee in a proportion to make a breadcrumb like texture . Strain them . Your powdered khoya is ready !!!!!!!! 1. Don’t forget to keep the gulabjamuns in the fridge . Because if you take too soft jamuns , you will never be able to make the perfect shape .When you keep it in the refrigerator, the jamuns get little firm as the syrup dries out , making it perfectly suitable for kheer-kadam. Malaichop/ Roshmalai using milk powder!!!!!!! Malaichop/ Roshmalai using milk powder!!!!!!! So soft and yummy!!!!!! Malaichop is a very famous sweet dish of Bangladesh . Unlike Rasmalai , malaichops r flatter and bigger in size . But the basic recipes I found always alike . This one is made from milk powder . Less time , less work and fail proof of course !!!!! 1. Boil the milk with cardamom and cinnamon and reduce a bit . Add Sugar and powder milk . Stir continuously or else it may get burnt at the bottom. 2. In the mean time prepare the dough. Combine egg, ghee and sugar together . In another bowl combine powder milk and baking powder . Mix the egg mixture with it. It will form a very sticky dough. Keep it in the refrigerator for 5 minutes . 3. You may find difficulties shaping the milk balls from that sticky dough .Grease your hand with ghee and make balls from the dough . Add the balls into the milk when it is in the boiling point . Just because the dough was sticky , you may not make fully round shape. Don’t worry . It will fall flat into the milk and will give the shape of malaichop . Cook at medium flame until doubles up . Flip over the sweet balls carefully ..Don’t cover with lid. 4. After doubling up reduce the heat a little more and cook uncovered at medium low flame for at least 10/15 minutes . It will get bigger in size . Mine one is three times as big as the ball I made !!!!! :)Take out the cinnamon ,cardamom from the milk. Your malai chop is ready!!!!!!!!!! 1. The recipe I used before, I used to take 1 cup of milk and that was quite a tight dough . And sometimes the center used to remain bit hard , specially after keeping it in the refrigerator!!!!! After having so much successful “mishti making session” , I came up with the idea that sticky doughs make softer sweets!!! 2.Don’t use too much baking powder , you may end up with broken rasmalais/ malaichops!!!!!!!!!!!!!! 3. Don’t Put the balls in too thick milk , that would prevent the malaichops to be soft .. Let the milk thicken whith the cooking of milk balls . Kalakand/Indian Milk Cake , a super easy way..
3. Continue to cook the Chaana on the stove on medium low heat. Add ghee, cardamom powder and sweetend condensed milk. Keep stirring. It will get thicker and will form water less lump. Remember Kalakand should have that crumbly texture.Then add the powder milk and a little bit of yellow food color. But yes of course, You can alwayz omit the food color part.. 😀 … Keep cooking until the mixture come together. 4. When done transfer it to a greased( with butter/ghee) serving dish. Let it cool and then cut it with a greased knife. Garnish with Pistachio and raisins.